Facial oils have been the hot topic of many articles for the past year- yet it seems that many still find the concept of putting oils directly onto your skin troublesome. We’re here to clear up the misconception that oils on your skin lead to clogged pores and blemishes. What makes a good facial oil? As you may have already guessed, you cant go slathering your skin with just any oil and expect great results. Facial oils are carefully selected due to their ability to deliver hydration, moisturisation and nourishment, as well as their ability to directly absorb into the skin. Most facial oils (or at least the good ones) are made up of oils that have smaller molecular structures which aid absorption, meaning your skin receives the benefits of the oil on a deeper level than just treating the very surface of your skin. 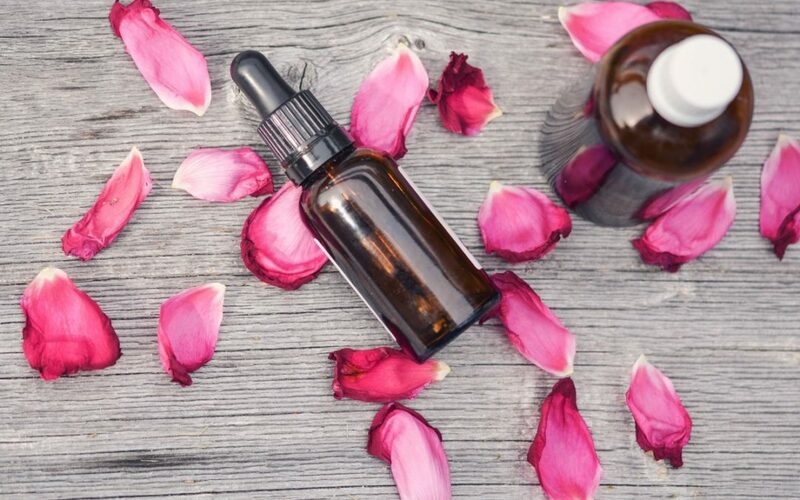 Whether you have oily, dry, normal or combination skin, there is space in your skin care regime for a facial oil- especially in the drier Winter months. The key is to choose the right oil for your skin’s needs and know how to apply it without under- or overwhelming your skin. 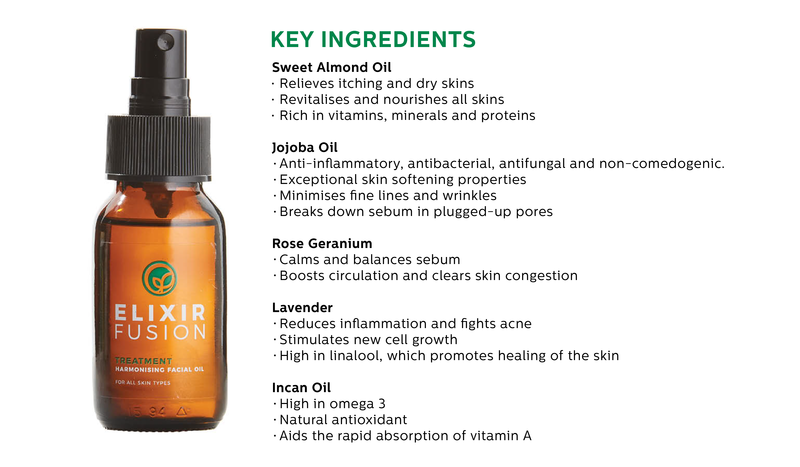 We have created three facial oils that can be used by just about anyone, however, they differ in the benefits they give to your skin. Ultimately you would choose your facial oil based on your skin’s needs and preference. All oils are free from preservatives and artificial fragrances, and like the rest of our range are also cruelty free. Our Harmonising oil is one of our most loved products, because it works for all skin types as well as balances the skin to revive that healthy glow. Formulated from carrier oils and pure essential oils, it works to soothe and balance the skin by feeding thirsty skins and calming hormonal skins. 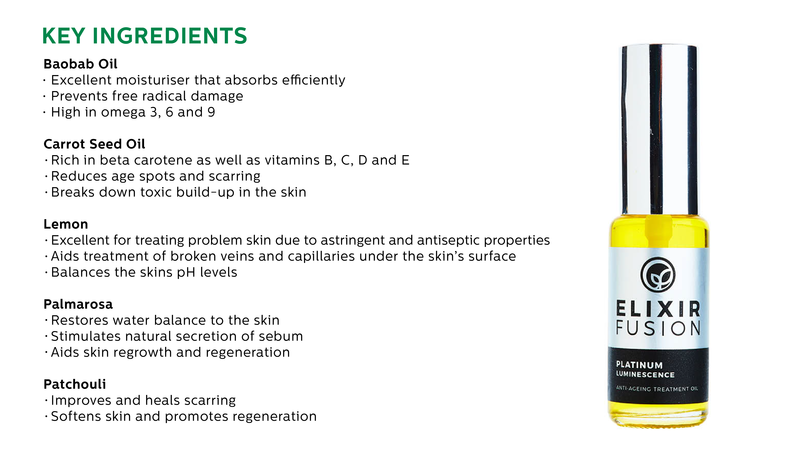 This oil forms part of our Platinum range, and it works to condition mature skins and improve elasticity. While it is focused on benefiting ageing skins, this blend also balances the skin and is effective in treating and reducing pigmentation. 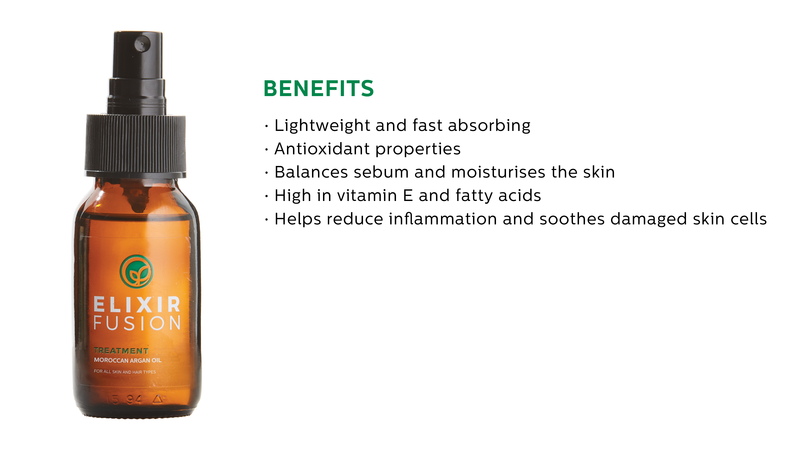 Considered “liquid gold”, this product can be used to protect from free radical damage as well as balance the sebum in the skin. How often should you use facial oils? The frequency of use would depend on your skin’s needs, which can be determined by skin type as well as environmental impact on the skin. For those with oily skins, application can be done in the evening after cleansing and toning, and it should be applied sparingly so as not to overwhelm the skin. If the oil does not get absorbed after 20 minutes, you’ve likely applied too much. People with thirstier skin can apply more liberally, and can even mix their oils with their day or night moisturisers for an extra boost. For fans of our Derma Gel Cream, you can mix your oil with the cream for an ultra-moisturising face mask.